trying to keep the sunlight towards my back to illuminate the eyes of my subject. If the eyes are clear usually the photo will be clear. 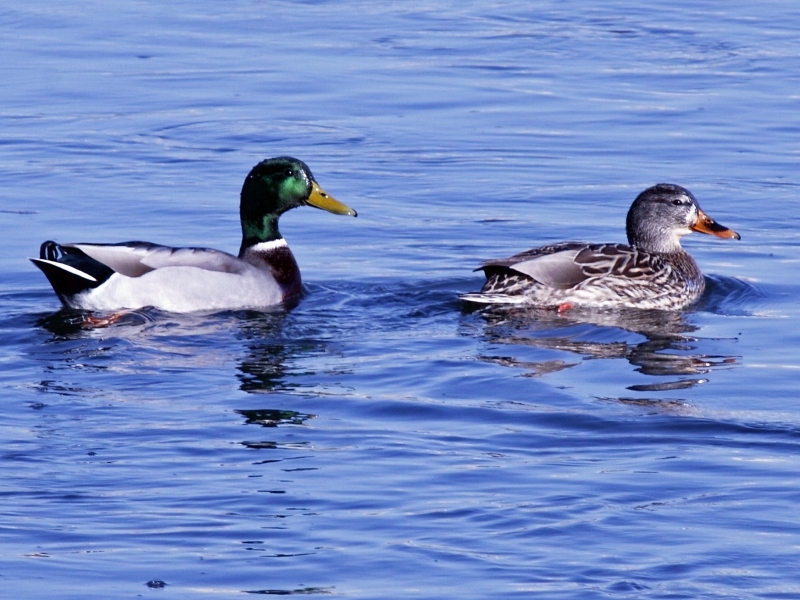 Two Mallards swimming on a December day.